Take out or dine in at the casual Patronies Pizza dining room. Enjoy golden-baked pizzas, fresh salad, hot wings and pasta. 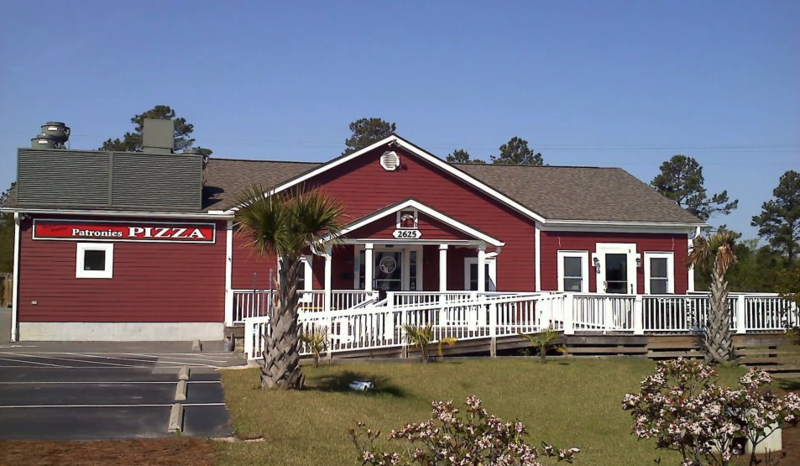 Patronies Pizza was founded in 1993 in Breezy Point, NY by John, Vinny and Gene Patrone and has been in North Carolina since 1996. Off-Season: Wednesday - Saturday, 4 p.m. - 9 p.m.
Summer: Daily, 4 p.m. - 9 p.m.